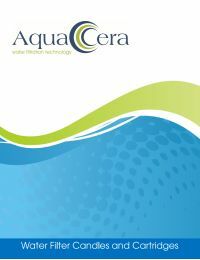 The AquaCera HCS Countertop Ceramic Drinking Water Filter System is a free standing ceramic filter for countertop use which is easily installed onto the existing cold water or mixer faucet via a diverter valve. This filter needs no permanent modifications to the kitchen plumbing, allowing filtered or unfiltered water to be drawn from the existing faucet at the press of a button. The compact size and superior performance of the AquaCera Countertop Ceramic Filter System makes it the perfect choice for apartments, boats, RVs, hotel rooms, and cabins. The perfect travel drinking water system. Comes complete with diverter valve and 3/8" tubing already attached for easy installation.